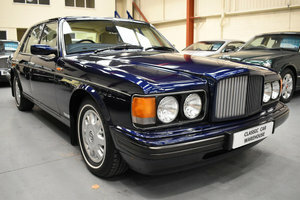 One of the last ‘SZ’ models to be produced, this 1998 Brooklands R is one of only 28 right hand drive examples. 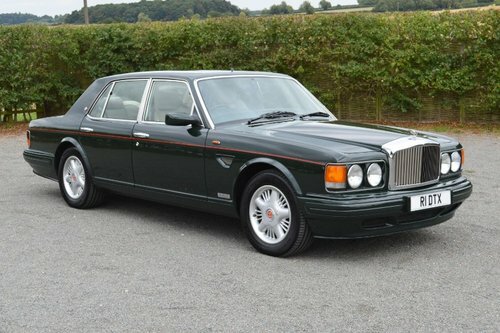 Finished in the traditional Bentley dark green with contrasting red coachlines, it features stone hide interior with complementing green top roll, stone knee roll, matching green carpets and over mats. 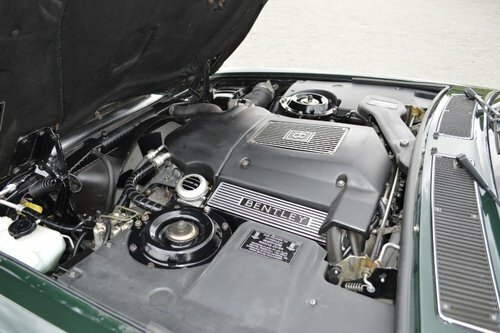 Extensive work has been carried out to keep this car in excellent condition throughout, most recently, the head gaskets having been replaced in our own workshops. 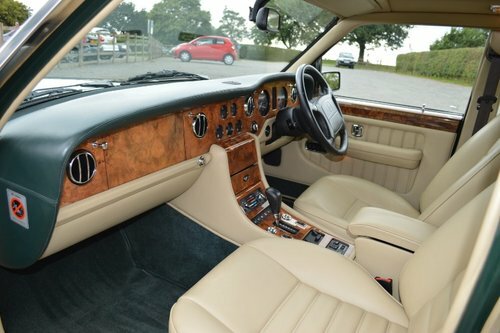 The comprehensive service history qualifies the current mileage of approximately 81,000, the tyres were recently replaced with the correct Michelin items and sit on excellent 17” alloy rims. 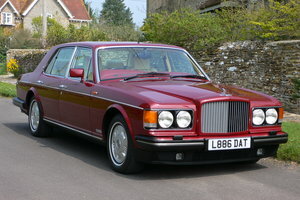 Le Mans style mesh front wing vents were added to enhance the appearance with a flying ‘B’ mascot completing the look of this fine British motor car. 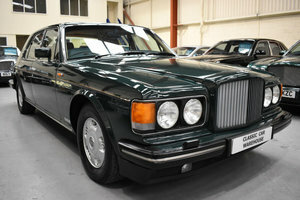 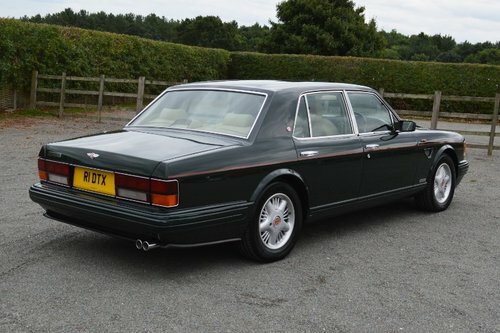 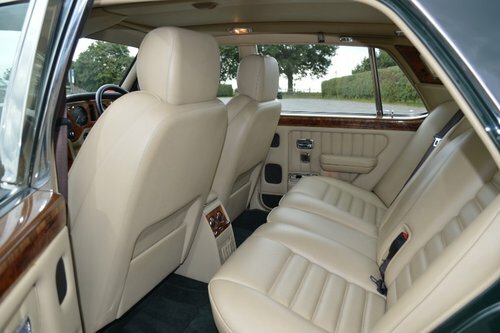 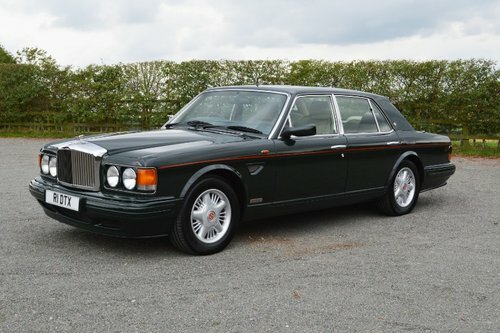 Complete with MOT until October 2019, and a distinctive ‘1’ registration number.If you are considering this model, you will not be disappointed.Offers and interesting part exchanges, including earlier Rolls-Royce or Bentley motor cars,considered.